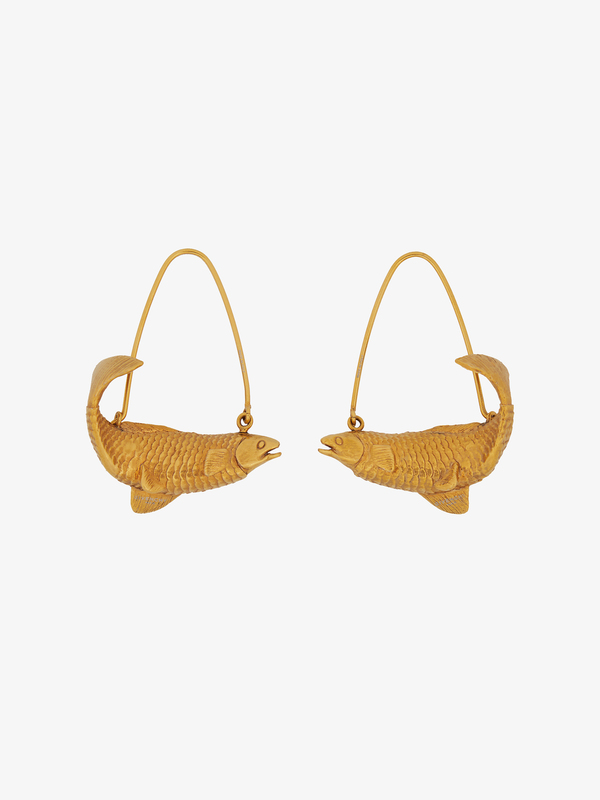 Pisces-symbol earrings in gold-finish metal. Comes with a black grosgrain ribbon to wear as a pendant. Can also be combined with the Sign chain (sold separately).